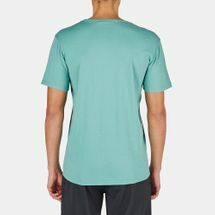 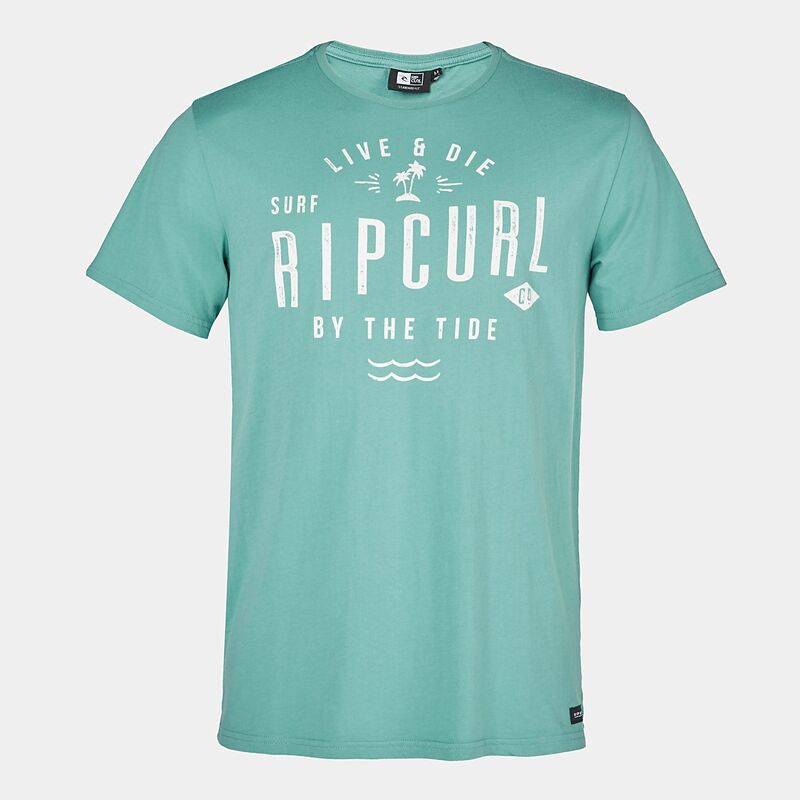 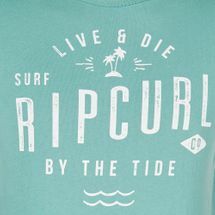 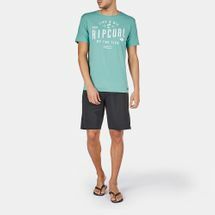 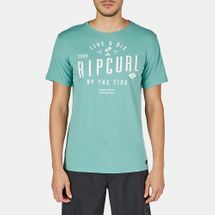 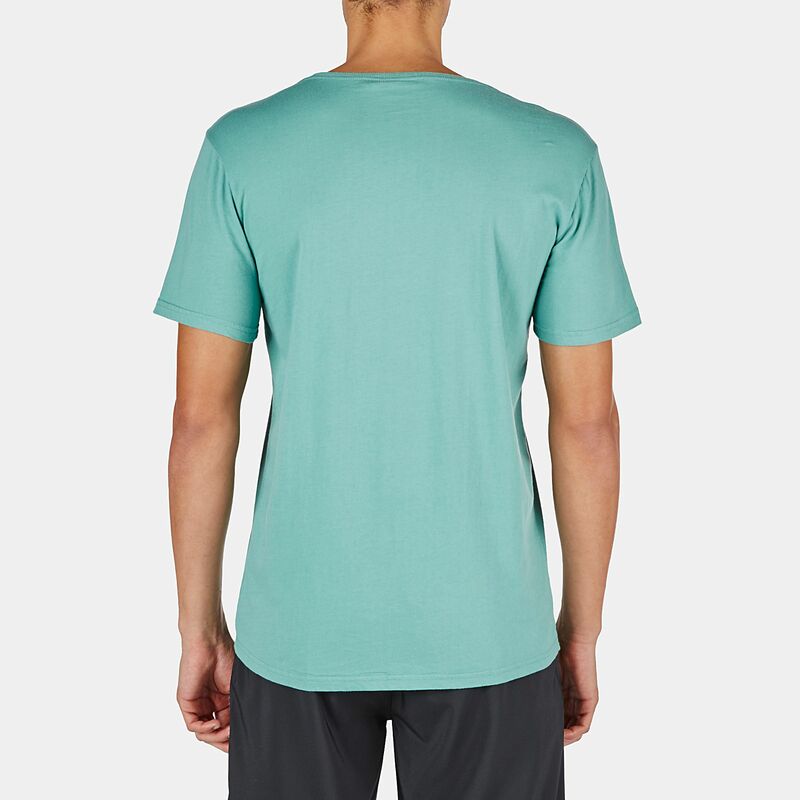 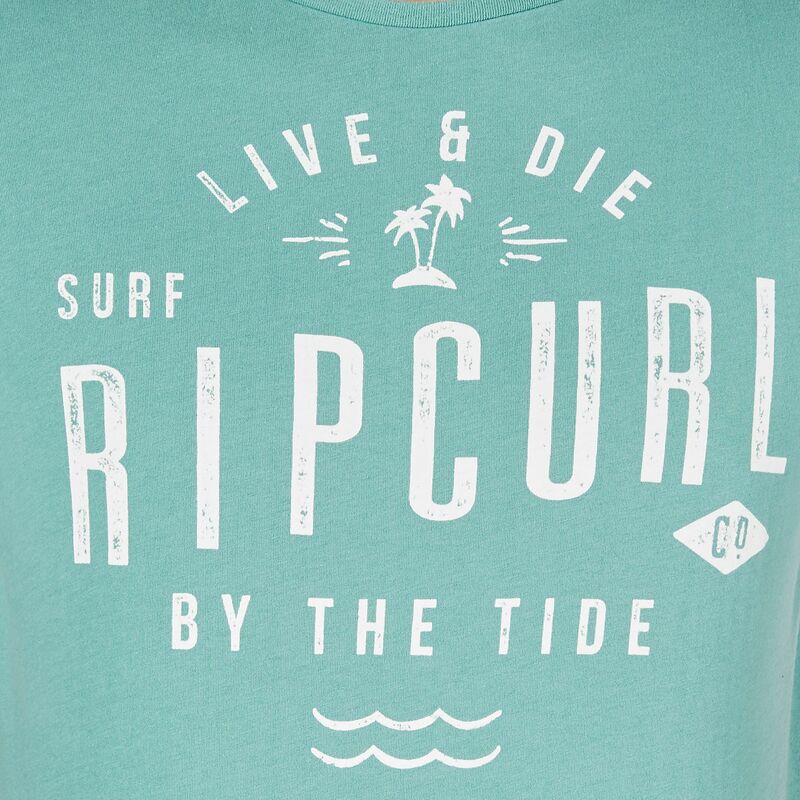 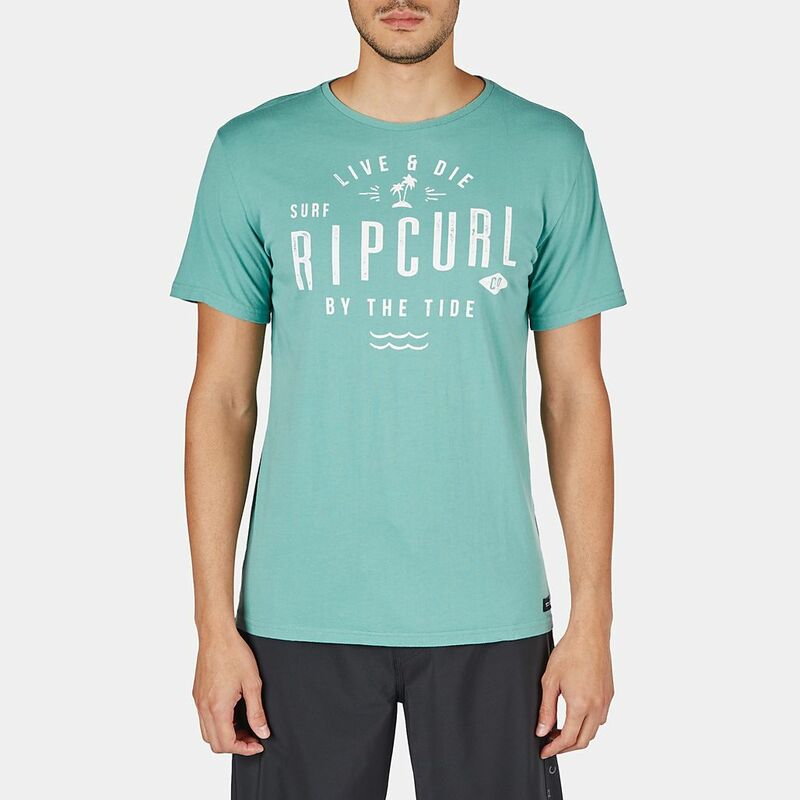 Add a splash of tropical style with this Rip Curl Covers T-Shirt for men. 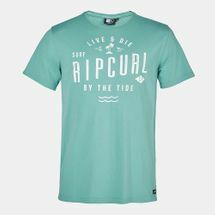 It features an all-natural material with a lightweight, soft jersey feel and a graphic print in the front. 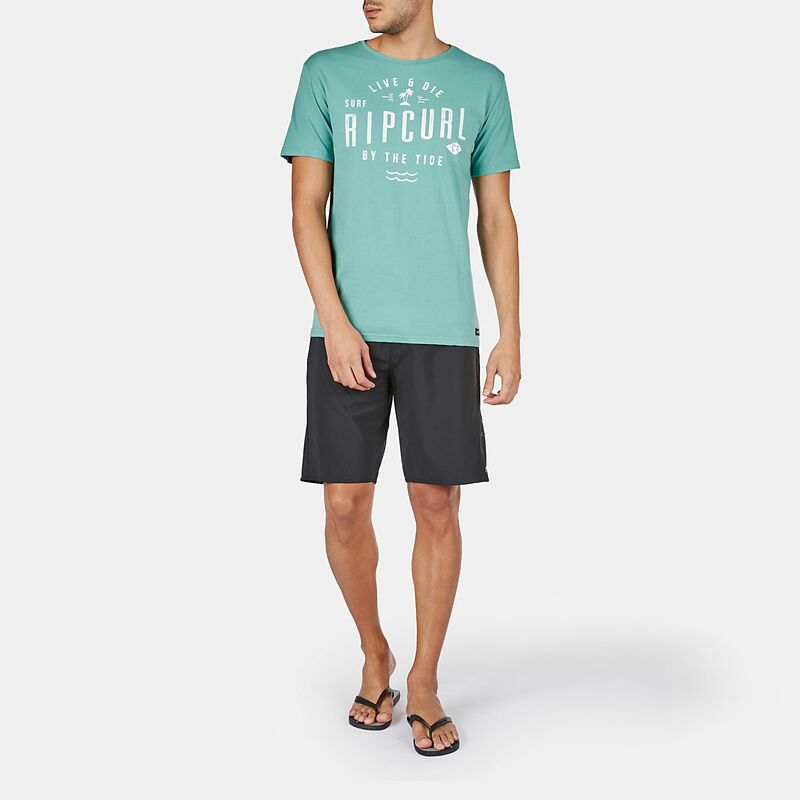 With a ribbed crew neck and a regular fit, the sandy surfer look is complete.